jojoebi designs: Where did the punk chick go? Where did the punk chick go? Still here! 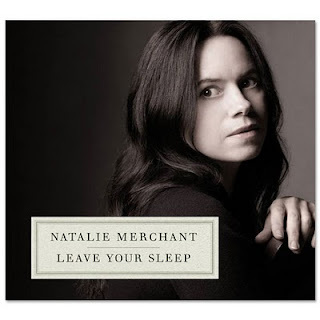 but for the last couple of weeks I have traded in Green Day, Linkin Park and the such like for Natalie Merchants new CD, leave Your Sleep, it is beautiful. I found out about this project when I was listing to the Women's Hour podcast from BBC4 and after hearing Natalie being interviewed I got all intrigued. Basically, when she had her daughter she rediscovered many old rhymes, poems and lullaby's and started putting them to her own music. The project took 6 years to put together and the CD has 29 tracks on it, these days I usually buy music as a download but this time I got the CD set since it comes with a book with all the poems in it plus a biography/history of the song. Some of the poems I remember from when I was a child and some are new to me, Natalie spent a lot of time working on the right tune to go with each one and selected instruments that fit the song, for example The Dancing Bear sounds like Russian circus music and The King Of China's Daughter definitely sounds Chinese, she worked with about 120 musicians so that she could get just the right sound and I think she did a fantastic job. I actually bought the CDs for Ebi-kun, he likes to listen to stories or music when he goes to sleep, is hasn't actually made it up to his room yet but he does like it as much as I do. I can see a lot of great teaching ideas could come from this too, identifying the instruments used on each track and studying the lyrics as an introduction to poetry. I think my favourites are Calico Pie and The land Of Nod which I had in a storybook with beautiful illustrations. I adore natalie's music! I have to check out her new CD! My son has listened to the same CD at bedtime for the last two years. I've recently been thinking about introducing him to new music. This CD sounds perfect. Thanks for mentioning it. Ms. Merchant's music and I go way back. Until your post I hadn't realized how far back (yikes) I can't wait to find this cd to check it out. Thanks for bringing it to my attention. Cheers! Wow... yes, I'm hooked! Just put three copies in my Amazon basket!